Which Would You Rather Have? Health or Money? 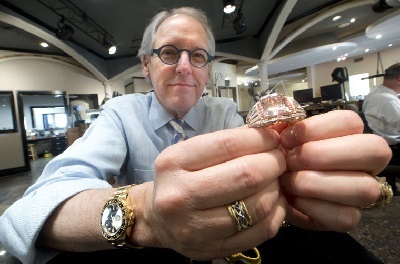 Read What These Jewelers Picked! Swissinfo reports this story which could have come straight out of Ripley’s Believe it or Not or Alfred E. Newman’s “Mad Magazine”. BaselWorld organizers dropped their claim against the Federal Health Office for imposing a ban on Asian exhibitors during the 2003 Severe Acute Respiratory Syndrome (Sars) scare. Organizers of the Swiss exhibition had initially sought $39 million in damages from health authorities for banning 400 exhibitors, staff and visitors from Hong Kong, China, Singapore, and Vietnam just two days before the watch and jewelry fair opened in Basel and Zurich. The organizers gave up their claim following an October 21 federal court ruling that the health authorities’ decision had been justified. The court tribunal rejected claims from Swiss Exhibition that they had lost millions of Swiss francs in business as a result of the health authority’s decision. Health office director, Thomas Zeltner, at the time had said that the restrictions were designed to prevent the spread of Sars. The health authorities had also stated that underestimating the potential impact of a Sars epidemic in Switzerland could have a disastrous impact on the country. Swiss Exhibition said that such measures were unjustified and would not stop a Sars outbreak, adding that the decision threatened its livelihood. The interior ministry confirmed the health office decision in December 2004, prompting an appeal to the country’s highest court. Baselworld itself has faced claims worth millions of Swiss francs from Asian exhibitors after the ban. The annual fair is not open to the public and is the biggest of its kind in the world. It is estimated that approximately 50 percent of the global watch and jewelry turnover at the wholesale level comes from business conducted during the eight days of the BaselWorld exhibition. In 2003, Switzerland’s Federal Health Office banned companies from affected nations. The 2003 event was the first to be co-hosted by Zurich, but BaselWorld organizers decided to hold future editions in Basel alone. In 2005, the fair attracted 89,700 visitors. In 2006, BaselWorld will hold its 34th edition from March 30 to April 6.